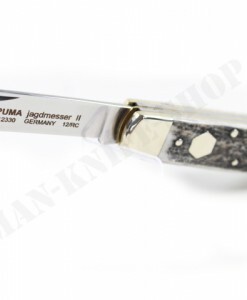 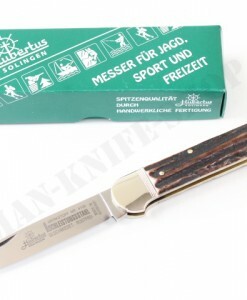 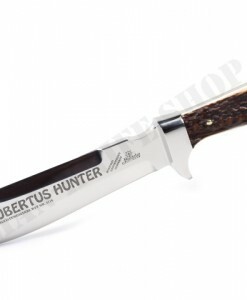 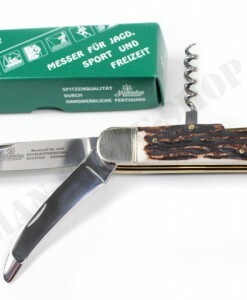 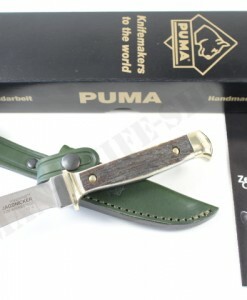 Dear customers, here we offer a superb German “BOWIE / HUNTING”collectors knife handmade by Carl Linder / Solingen / Germany . 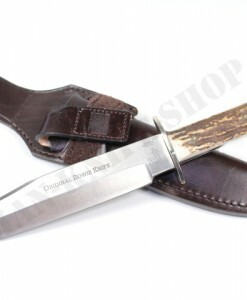 This fantastic Bowie knife comes with a fit and noble leather belt sheath for highest stretcher comfort. 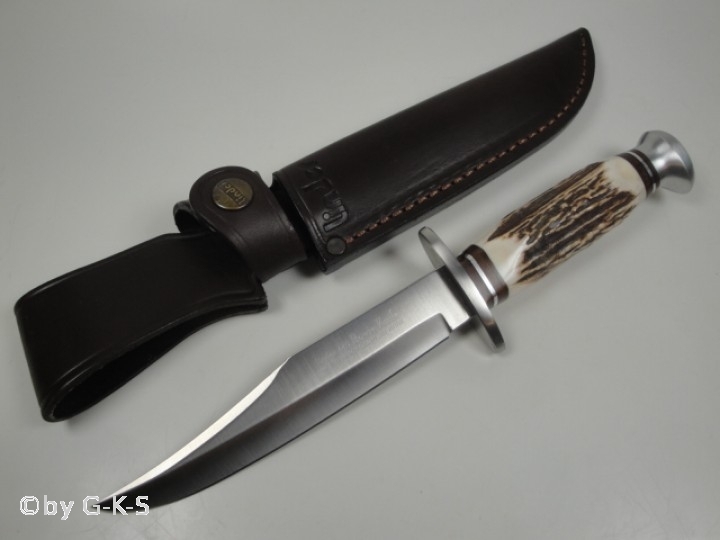 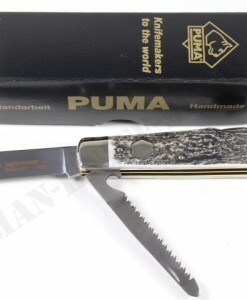 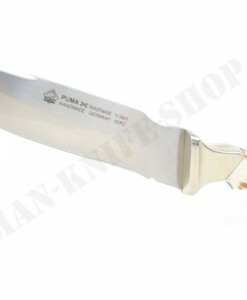 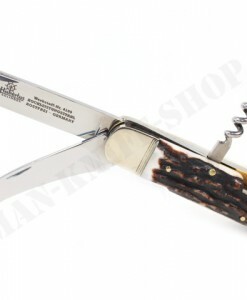 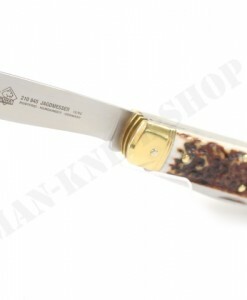 The handle is made from finest and extra choose deer horn. 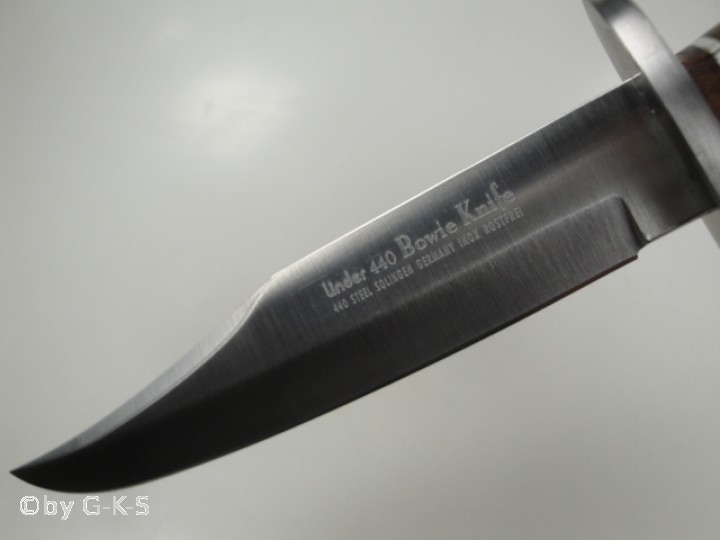 The 440A steel blade has the original “Bowie” -Style. 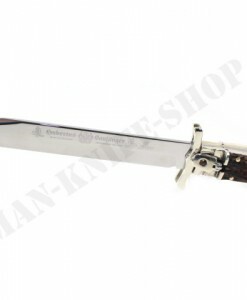 The length of that fantastic blade is 5.906 inch (This is approx. 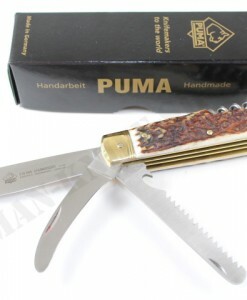 15 cm). 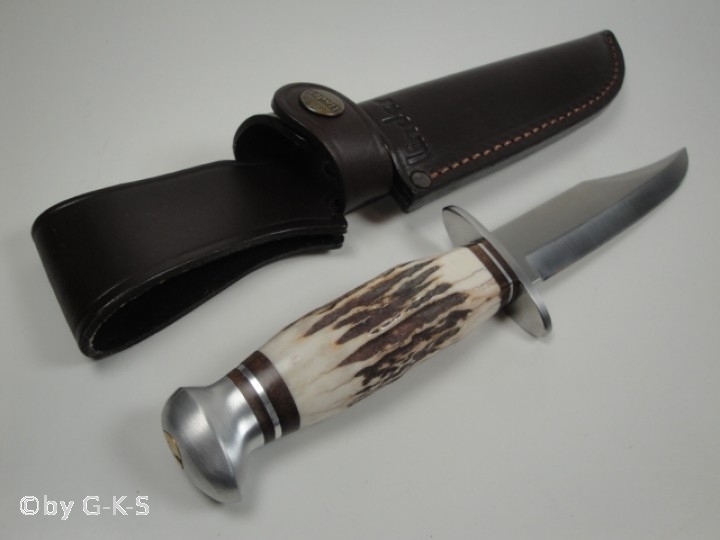 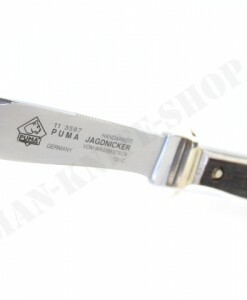 The length of the real stag handle with stainless guard and aluminum pommel is 4.882 inch ! 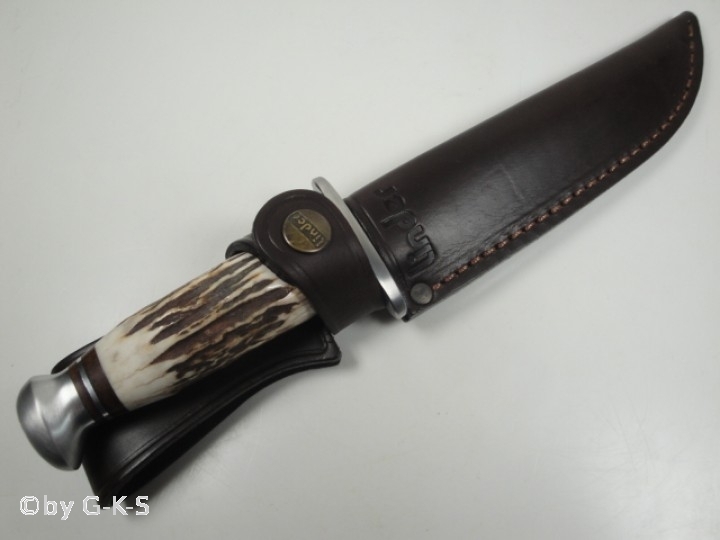 (This is approx. 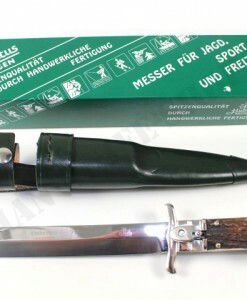 12,4 cm). 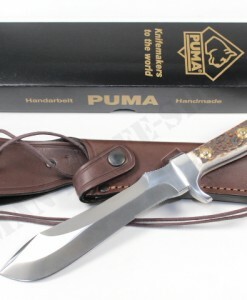 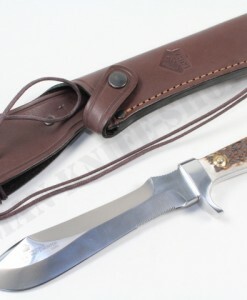 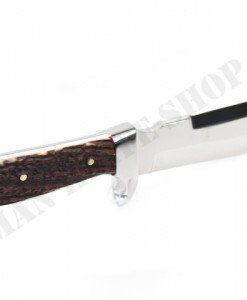 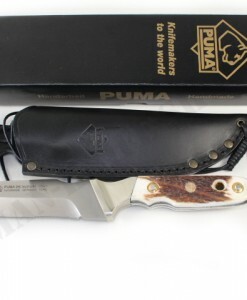 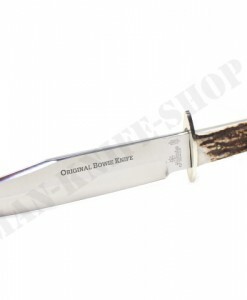 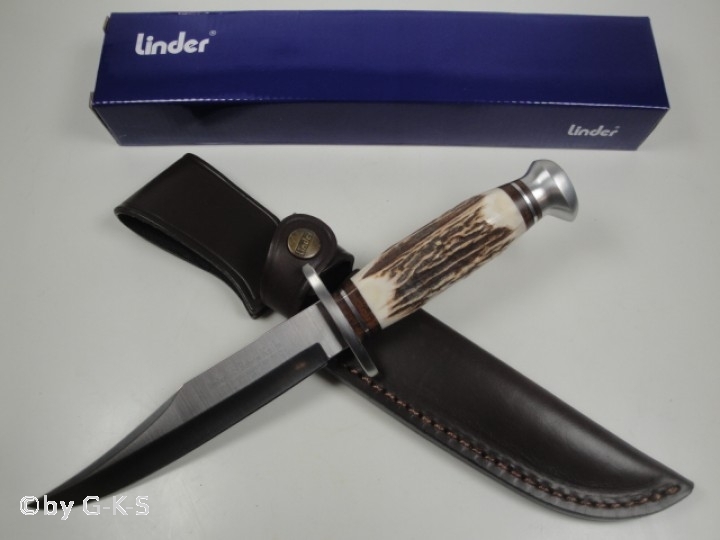 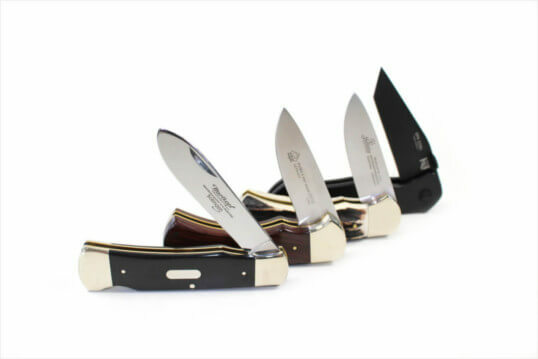 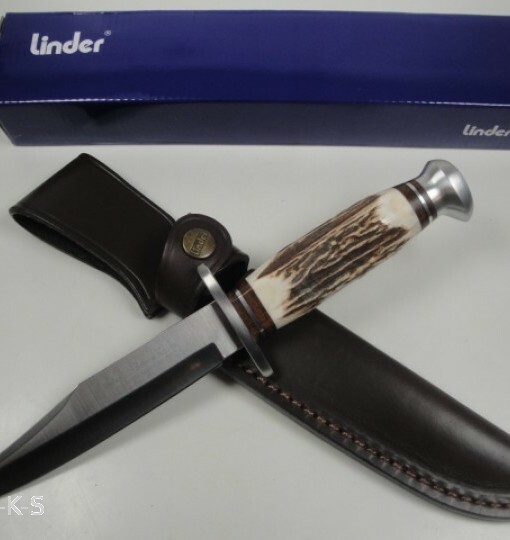 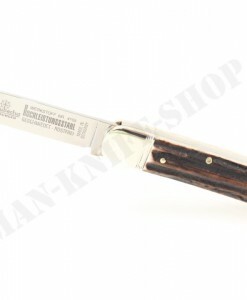 You will be absolutely impressed of this awesome Linder bowie knife.